The laundry room is probably one of the most neglected parts of the home but it needs some upgrades. While a separate room just for the laundry is every homeowner’s dream, that’s not always in the cards. Some houses don’t have the room necessary for a laundry room, or you may not have the budget to include another room. If your laundry room is actually a closet, then you probably already know the struggle to create enough storage for everything you need. For immediate laundry needs, storage may not be a huge concern. All you really need is laundry detergent and whatever fabric softener you use. But your laundry room can be so much more than a place to transfer clothes into the washing machines. Laundry areas can also serve as cleaning supply storage, extra linen storage, a place to fold or hang clothing, or a place to iron and even hand wash delicates. Just because you have a closet laundry space doesn’t mean that you can’t get some of these features. Shelves are the most obvious way to increase the storage in your laundry closet. The first thing to do is look up. Most of the time, there is a single shelf over your washer and dryer, and nothing else. Shelves that go all the way up to the ceiling can be used to store holiday and seasonal items that you don’t need often. Just don’t make them too deep, and you’ll be able to reach them with a step stool. Shelving units can be purchased from many companies, even custom systems that are made for your exact space. These organizational systems give you shelves of varying depths and widths, and usually, include other features like a bar for clothes hanging. 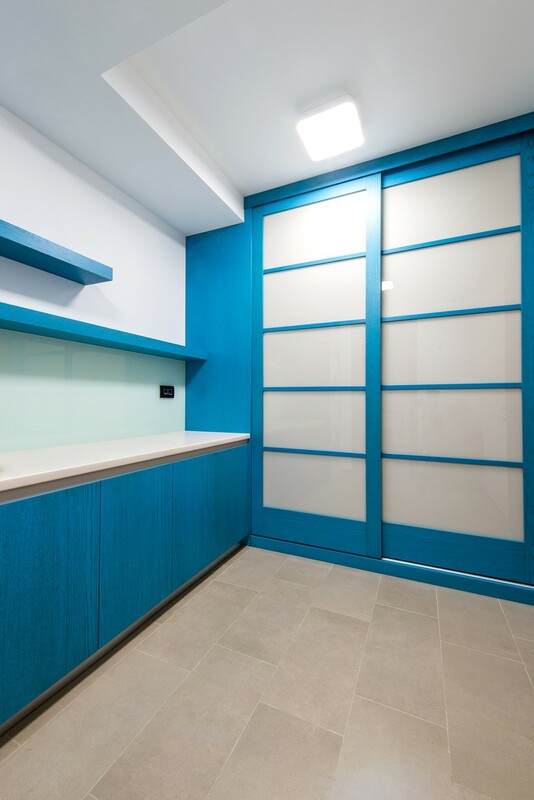 If shuttered doors are currently covering your closet, changing them to standard doors can be a great way to get extra storage. The back of a door offers tons of empty space to hang baskets for cleaning supplies or to hang a shoe organizer that you can tuck hand towels and dryer sheets in. There are even back-of-the-door storage units that have built-in laundry hampers, to keep the laundry entirely out of sight and off the floor. This isn’t exactly adding storage to your closet, but it is one way that you can make using your laundry closet much easier. 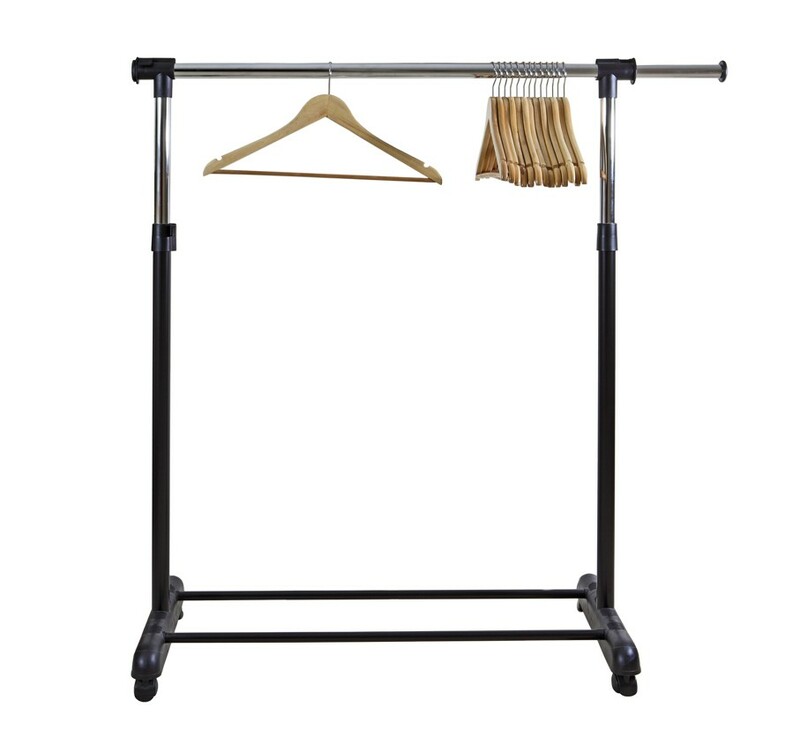 Tuck a rolling wardrobe rack into a nearby bedroom or closet. When it’s time to do the laundry, you can roll it into the room; use it to hang up clothes or towels right there, and then roll it back out to put your clothes away. 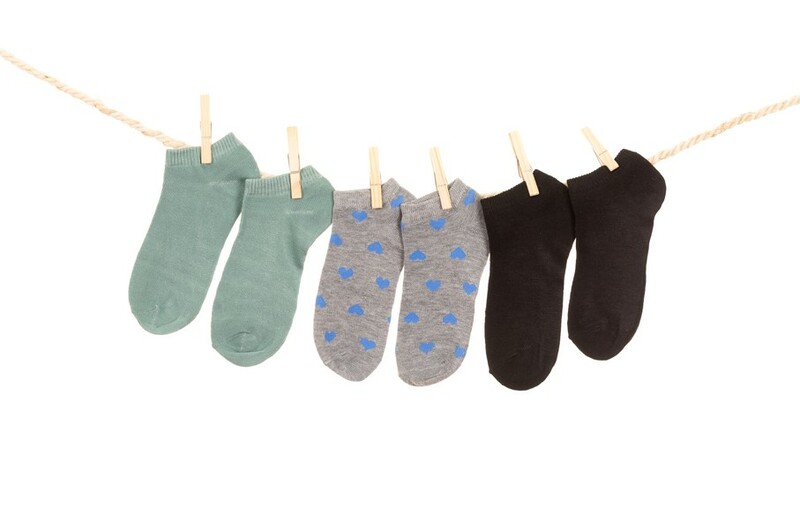 If you have a habit of allowing clean clothes to build up in or on the dryer, this is a handy way to create temporary storage while you hang things up. Believe it or not, you can hang a clothesline inside your laundry closet. Hang it against the wall over your washer and dryer, or under one of the shelves. This is a great place to hang delicates that can’t be put in a dryer or to hang socks that are looking for lost mates. 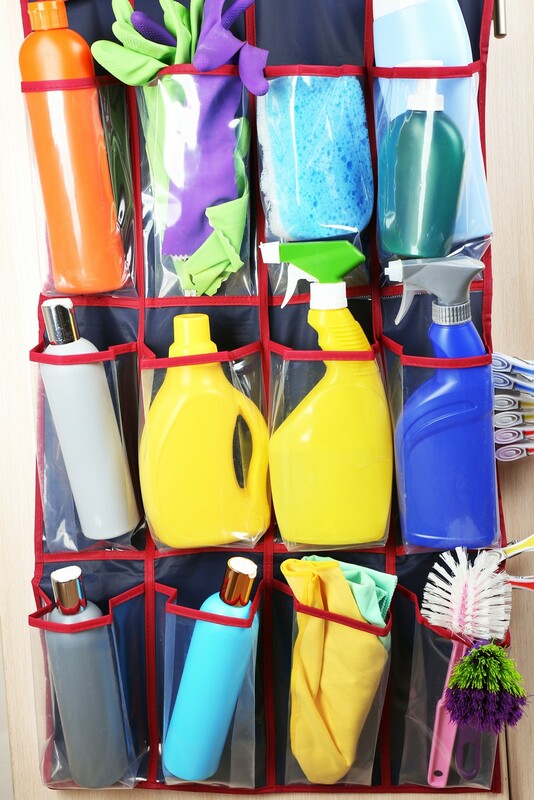 You can also use the clothesline to store cleaning sponges or tote bags. 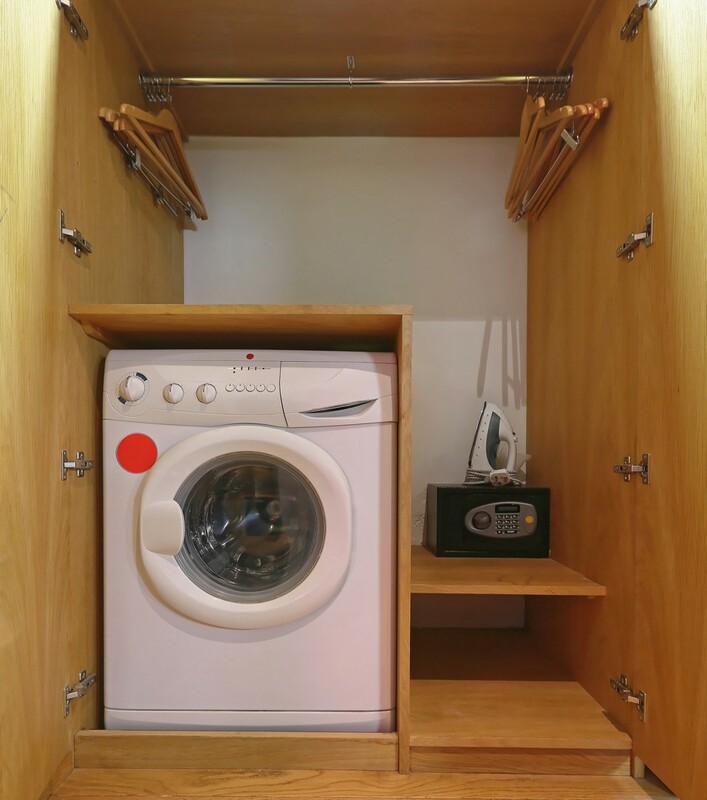 With just a few creative solutions, you can transform your laundry closet into a space that is every bit as useful as a laundry room. Using natural materials like bamboo, cotton, and wood for your storage solutions makes your space look great. Most of these solutions are inexpensive and offer multiple ways to customize so that you can fit them into any space or décor style.